What a great idea to wear a scarf as a top! I love how creative you got with it and you totally look classy! I love wearing scarves as shirts. This looks great on you and I like all the different ways you styled it. 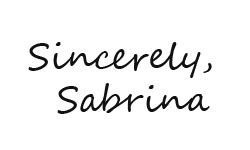 wow , what a creative idea Sabrina! very well done! without reading your post never would of knew that was a scarf! So simple and creative... Knowing me though, it would somehow blow off! This is a fantastic post Sab! I'm pretty guilty of forgetting things during trips too! I love how you're wearing the floral scarf! So pretty!